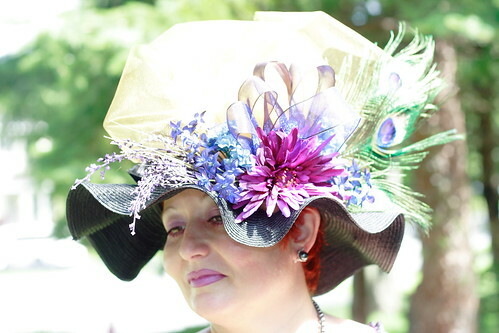 Annie's Art Book- Art &Craft: Hats Off, Saratoga! 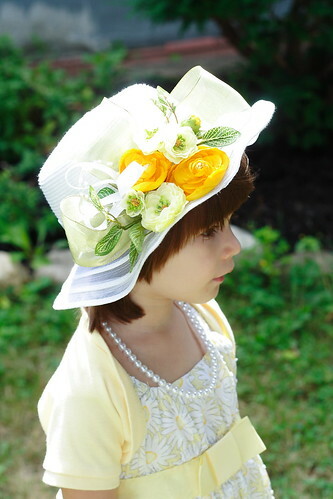 Maybe some of you remember that one of my first postings ever was about hats! I love hats! Unfortunately, I rarely have an occasion to wear one, which is a shame of course, because I love not only wearing them, but making them too! 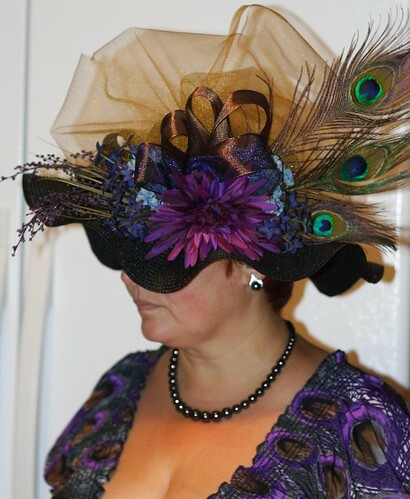 For one reason or the other, I have pictures only of the last three hats I made, but I made them with so much love that I think it compensates the lack of other examples of my hat passion. 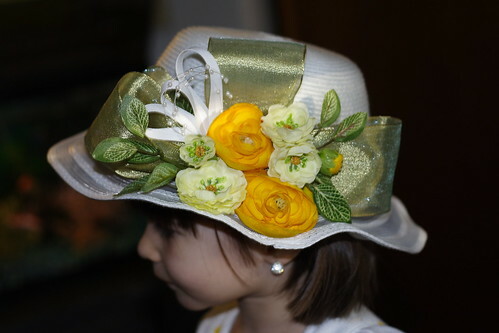 - " Kretive Kids" ( it's spelled that way, no mistake), a category where kids are showing their fashionable, funny and interesting ideas for hats. 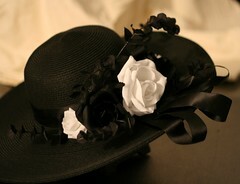 - "Fashionably Saratoga", where all hat lovers and hat makers can brag with their new hats. - "Uniquely Saratoga", where every crazy idea you have about representing Saratoga spirit counts! We've been meaning to go there for the past 6 years...and somehow something always happens! Not this year! I said- rain or shine, we are going to be there! 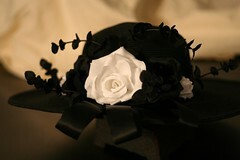 Black and white roses, some black ribbon and tulle as well. It's the perfect combination for me. I absolutely love how it turned out! I wish I've found out black gloves for myself as well, but what can you do. 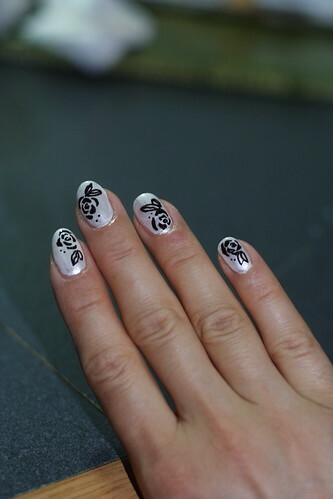 Of course I had the matching dress, shoes and bag as well and ( believe it or not) matching nail art- black roses on a white background. 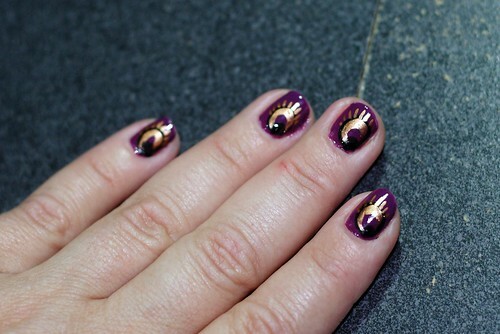 I don't think I've posted anything about it, but since I got some Sally Hansen nail art pens, I've been working on everybody's nails. I'm making a mental note to show you some of my things. Should I even mention that it's very difficult to draw with the left hand? Well, these are made exactly like that! 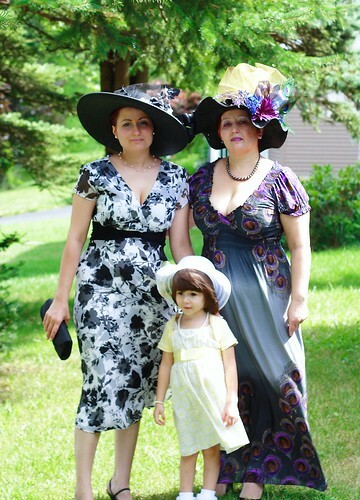 My mom is visiting from Bulgaria and this was a huge opportunity to create some memories for her too, so I tried to convince her to to wear the hat I made especially for her and her dress. 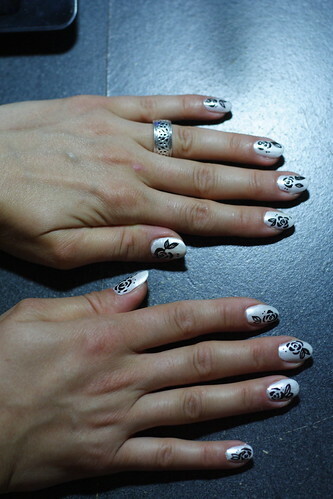 My daughter's nails were with white daisies, but sadly I don't have a picture of that. 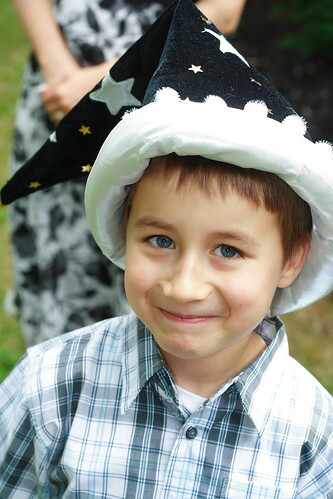 It was a really nice wizard hat with moon and stars and some bling of course! Here we are, the three of us getting ready to go to the race! Страхотни шапки. А и вие всички сте много хубави с тях. Чудесно си ги съчетала с тоалетите, че даже и с лака за нокти. Ани, много сте хубави, тоалети с концепция! :-) Поздравления!